If your customers are online, there is a good chance they watch videos on YouTube every week, if not every day. YouTube now reaches more 18-49 year-olds than any traditional cable network in the US, and this trend will only continue. In fact, it is estimated that the amount of time people spend watching YouTube videos is increasing by 50% every year (1). So if YouTube is not part of your current marketing strategy, it should be. 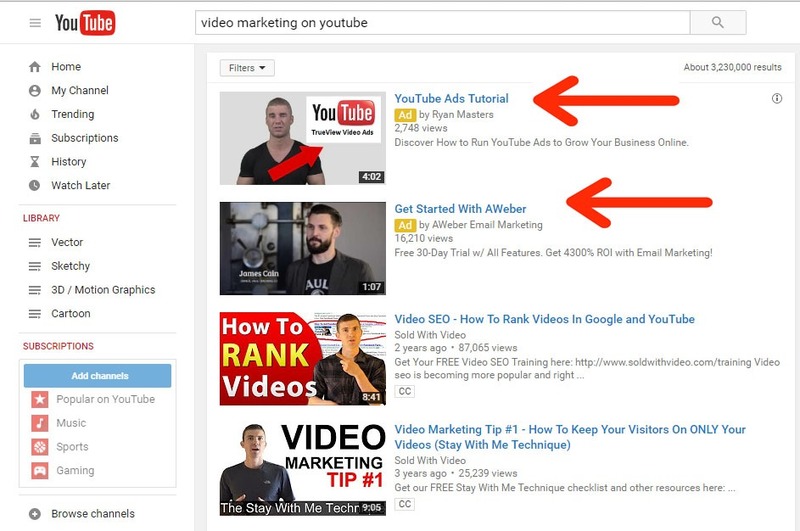 There are a number of ways you can utilize YouTube for marketing purposes, but this post is focused on giving a brief overview of the paid advertising options. We will look at the different ad formats available, how you can optimize your videos for YouTube advertising, as well as how you can target your campaigns to reach the right audience. Before discussing strategies on how to optimize your campaigns (the fun part), it is important to understand the different ad formats that are available, and when to use each one. In-Stream ads, (also known as Pre-Roll Ads) appear before the video you are on YouTube to watch. This type of advertising can be a great way to intrigue potential customers who are not actively searching for your service. YouTube will only charge you for showing your ad if the viewer watches for :30 seconds or more before skipping. 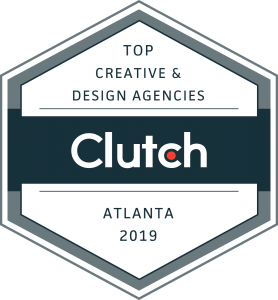 This ad format is typically best for consumer oriented ads, brand building campaigns, or anything that is targeted at a fairly broad category of people (unless you are re-marketing which we will discuss later). The downside of this format is that it is annoying. People don’t want to see your ad. They want to watch the video they came to see. This means it is likely they will skip it after 5 seconds when given the option. Because of this, video ads need to be optimized to fit the format. 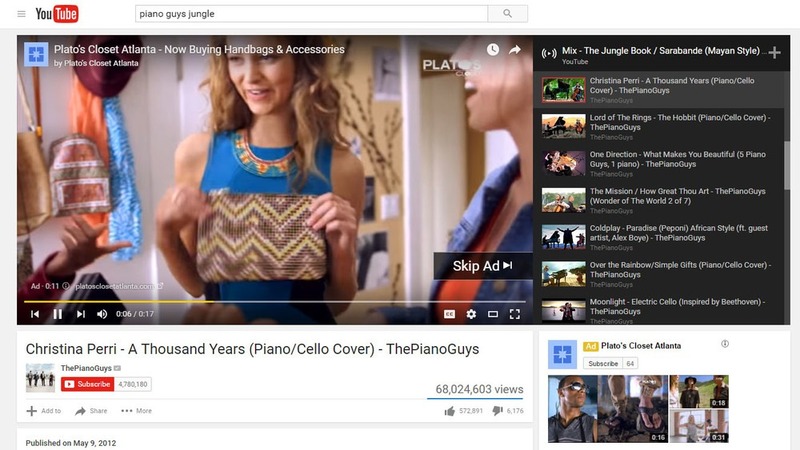 In-Display ads primarily show up in YouTube search results, and as overlays on other videos. They are more like traditional google ads with a headline, and supporting copy which you can write to attract relevant viewers. Because users choose to click on your ad, they are more likely to be interested in your video when it begins to play. This format can be good for targeting a B2B audience, or a more narrow category of people. Example of In-Display Ads (See red arrows). 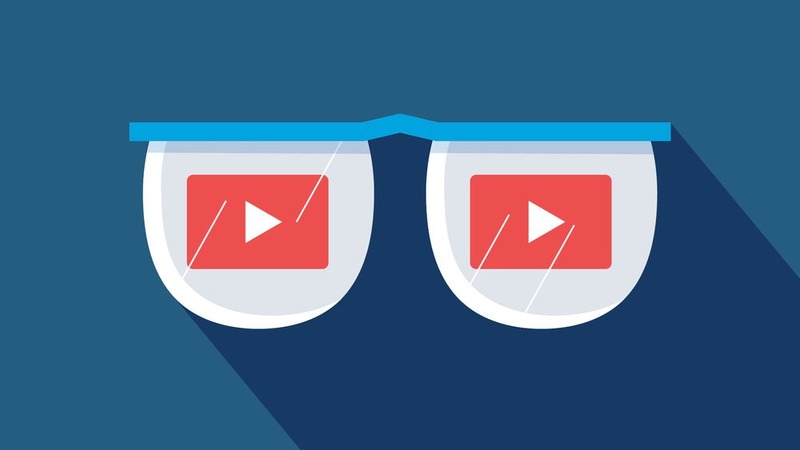 While the tips we offer for optimizing your videos for YouTube advertising are most important for In-Stream ads, they will will also help with display ads because once people click on your ad, you only have seconds to convince them to keep watching your video. So let’s get to the fun part! 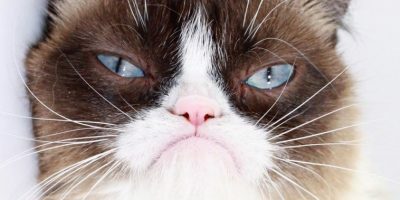 It’s 4pm on a Friday, and you are counting down the minutes until the weekend, when an email comes in from a co-worker with a link to a YouTube video about cats! Of course you can’t resist clicking on it. But before your video begins to play, an In-Stream Ad comes up. Instinctively you look for the skip button. Now freeze that thought and turn the tables for a second. You are the advertiser and your mission is to draw leads to your website. 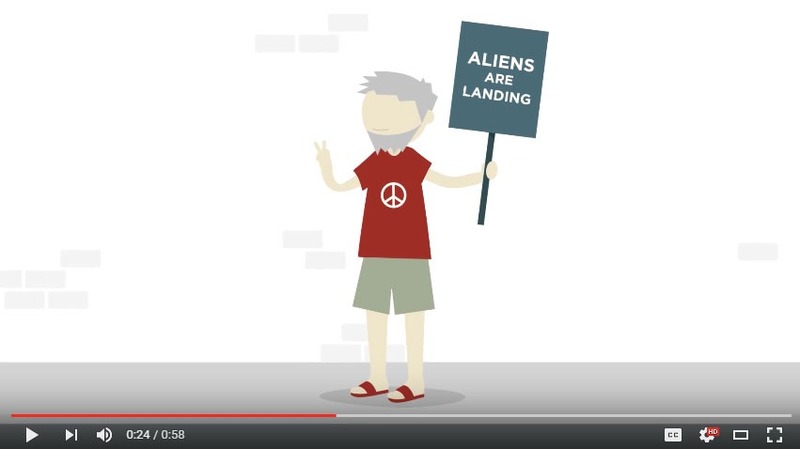 How can you craft your video to keep people from skipping your ads as soon as possible? Pre-roll videos are disruptive in nature, because viewers are not actively searching for the information that is being presented. Most viewers will skip a pre-roll video as soon as possible (which is usually after 5 seconds). Because of this, it is necessary to get the attention of relevant viewers from the very beginning, and then communicate the most important messages up front. To grab attention some sort of “hook” is needed. This can be something clever, funny, shocking, or insightful, but somehow it needs to stand out to the targeted audience. Put simply, the goal of the first 5 seconds is to keep potential leads watching longer. Once you have your viewer’s attention, it is a good idea to communicate the most valuable points first, as more and more watchers will drop out as the video continues. 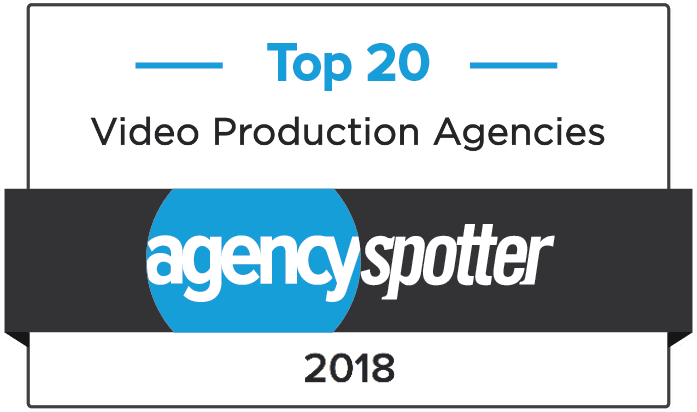 It is also important that your company name and brand are visible near the beginning of the video as it is unlikely they will wait until the end to find out who is doing the advertising (this is actually a very common mistake). Finally, a clear call to action with a low commitment “next step” is very important. You can use YouTube’s annotation and linking features to create buttons in your video that link to landing pages on your website. It is extremely unlikely a viewer of your ad will immediately become your customer, so your goal should be to get them into the top of your marketing funnel by offering free resources or information. 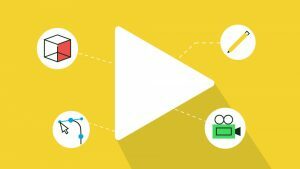 Ideally it is best to create a YouTube video ad from scratch, but it is also possible (and more cost effective) to modify an existing video to fit the format. 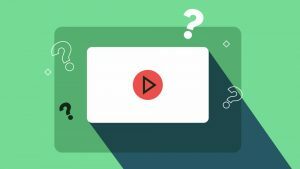 Explainer videos that you create for your website are likely too long out of the box, however, with some cutting and trimming it is likely you can create a teaser version that works great for YouTube advertising. Digital marketing is a brave new world. In fact, it is downright scary at times when you realize how much data you can collect from potential customers, and how you can use that information to target them with relevant ads. On the bright side, it allows you to be much more surgical when it comes to promoting your service, which in turn can save a huge amount of money. 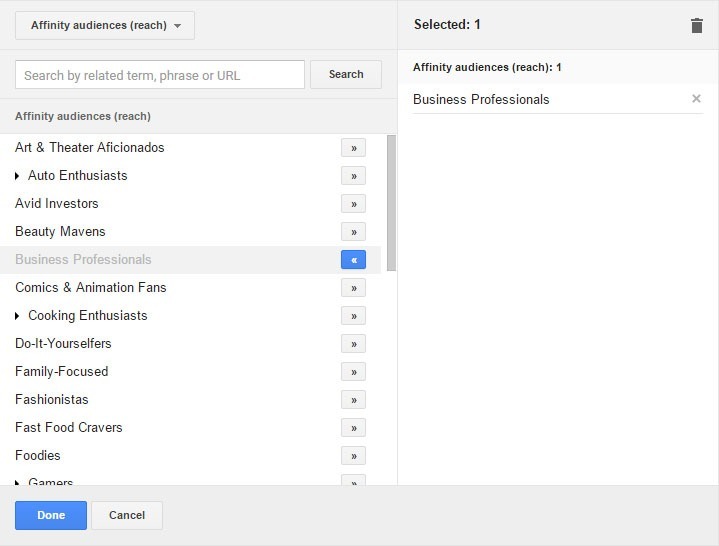 When it comes to advertising on YouTube, Adwords gives you the ability to target a fairly specific audience of people. To benefit from this, it is best to start by writing down a profile of your ideal customer: Age, Occupation, Interests, etc… then use this information to set up your campaign. A detailed Adwords tutorial is beyond the scope of this post, but you can find all the information you need in the resources section at the bottom of this post (3)(4). Targeting is not an exact science, so it will require some trial and error. It is better to start with a very specific audience, and then if your ad isn’t showing very often, you can widen your target radius. This way you will avoid spending your budget on irrelevant viewers, and it will be easier to tell what is working. With In-Display ads, your ad copy will help filter out some irrelevant viewers, but when it comes to In-Stream ads, it is really important your ads only show to people who are in the neighborhood of your target audience. Another option for targeting is to show your ads to people who have previously visited your website. This is called remarketing and it can be a very effective way to re-engage potential customers and give them more information about your products and services. Using Google Analytics you can create very detailed remarketing rules so that your ads only show for people who have spent a certain amount of time on your site, or have visited certain pages, etc. (5). Once your ads are up and running, it is important to measure the results so you can see what is working, and if anything needs to be improved. To get the best information, you will want to connect your YouTube, AdWords, and Google Analytics accounts so they can all share information. Find out more on how to do this in the resources section below (6). If your potential customers are on YouTube, then you have a great opportunity to engage them with video ads that draw them into the top of your marketing funnel. Achieving an effective campaign will take a significant amount of trial and error, but the best way to get there is to jump in and start trying. Measure your results, tweak your campaign, and try again.